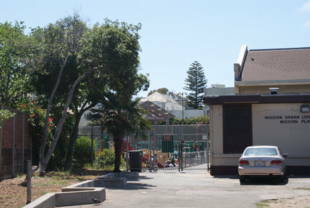 Mission Playground and Pool is closed for renovations. It is expected to re-open in August 2012. Renovations include an upgraded clubhouse, pathway improvements, new turf athletic fields, landscaping, shade and seating. 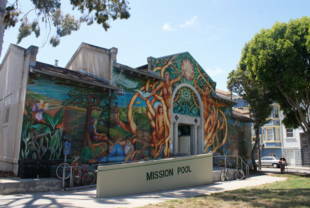 Mission Playground/Pool is owned by the San Francisco Recreation and Park Department. 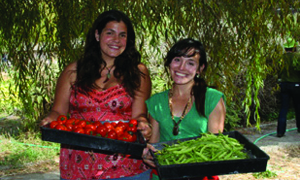 J-Church: exit at Dolores Park (20th and Church), walk north to 19th Street, then east approx. 1.3 blocks to the park. 14/14L-Mission/Mission Ltd.: Mission and 19th St.; walk three short blocks past Valencia, then one short block to the park. 33-Stanyan: 18th St. and Guerrero; walk a half block east to Linda St., then south to 19th and the park. 49-Van Ness/Mission: Mission and 19th St.; walk three short blocks past Valencia, then one short block to the park.